Are you insured by UnitedHealthcare dental? If so, we here at Williamsburg Dental are pleased to accept your dental insurance! Our staff also stays up-to-date on the latest updates and changes in the insurance world to ensure we can help you make the best decisions when it comes to using your dental insurance plan. We are the UnitedHealthcare dental dentist Lincoln can turn to for affordable, quality dentistry! The Williamsburg Dental team is pleased to work with several dental insurance plans, including UnitedHealthcare’s dental insurance. Our patients who are covered by an insurance provider often enjoy better oral health and long lasting smiles, because they are more likely to undergo regular preventive care. If you have dental insurance, don’t hesitate to get in touch with us so we can discuss making the most out of the benefits you are owed! Using your dental insurance is easy when you work with an in-network dentist. Let us know you are covered by UnitedHealthcare when you call to schedule an appointment at Williamsburg Dental. We will get your information, and then, when you come in, talk to you about the benefits you are eligible for and which ones may benefit your smile most. You’ll pay any amount that is not completely covered at the time you receive the services, and we will file and follow up on the claim to ensure everything goes through like it should. Because regular preventive dental care is a vital aspect of every healthy, thriving smile, your dental insurance will likely completely cover two checkups and cleanings plus a set of x-rays every year. Topical fluoride applications and dental sealants may be covered, too. When you take advantage of these free benefits, you are greatly reducing your risk of developing serious issues, like a cavity that turns into an abscessed tooth or an old broken filling that causes real pain later on. When we regularly check in on your smile, we catch these and other issues early to provide the most conservative and efficient treatment possible. Sometimes cavities can actually be reversed with remineralization and improved dental hygiene habits. Early detection of oral cancer is especially vital for positive outcomes. If you do need restorative care to renew the health and function of your smile, your dental insurance plan will cover a significant portion of tooth replacement options and treatments that remove decay and restore the health of the tooth. Most dental insurance plans cover the majority of the cost for crowns and bridges, root canal therapy, fillings, and other restorative treatments. Dental insurance is a wonderful investment in your and your family’s dental health, so don’t let your benefits go to waste. Use them to their full benefit to enjoy a lifetime’s worth of happy, beautiful smiles! At Williamsburg Dental, we happily accept UnitedHealthcare dental insurance from our patients in Williamsburg, Williamsburg Village, Northeast, and East Lincoln. 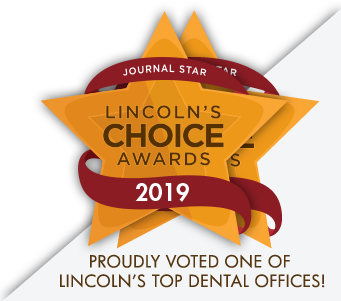 Schedule an appointment with your Lincoln UnitedHealthcare dental dentist today.